Shown Medium 3.5" Wide Bow Soccer Print & Forest Green Bow attached to a choice of an alligator clip, locking barrette or ponytail holder elastic. 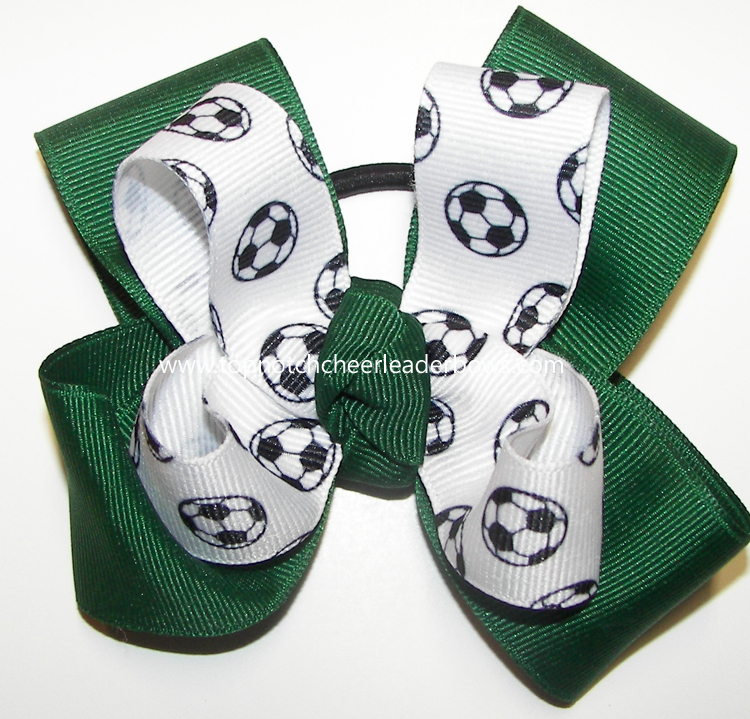 Customize the Soccer Bow. You may Trade Out the Forest Green for your Team Color topped with the Soccer Ribbon.